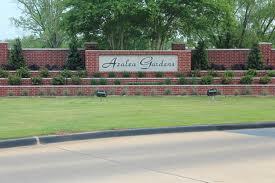 Azalea Gardens is one of Shreveport’s most beautiful garden subdivision. It offers convenient living in a gated, covenant restricted community. Most of these neo-ecclectic styled homes were built around 2005, and residents here uphold high standards of beauty in their property, making this newer community perfect for individuals or families who expect more from their neighborhood. This well planned subdivision is just minutes away from University Place and East Gate Shopping Centers, and only a couple minutes from two of the cities best medical centers Willis-Knighton Pierremont, and Schumpert Highland Medical Center. It’s also minutes away from Hwy 3132 and I-49, providing ease of access to the rest of the city. Azalea Gardens is in one of Shreveport’s best school districts. University Elementary, Youree Drive Middle School, and Captain Shreve High School are all first class public schools and are, at most, a few miles from the front gate. Choosing to live in a private gated subdivision is the logical choice for families who want to ensure that the environment and property standards they have worked to uphold, will be met by those around them. This not only shapes the community, but defines it. And in Azalea Gardens, the definition is simple: Comfort, beauty, and elegance in living.